I may have mentioned earlier I had booked in quite a few markets this year. Well I went a bit crazy for this week, and have three days worth of markets planned! The first, on Thursday, is the Geraldine Summer Fete. This will be the second year of this exclusive country fete. There will be a selection of New Zealands's finest home, garden and lifestyle products together with the area's quality local produce for a day of indulgence and elegance held at a spectacular South Canterbury property. The fete is this Thursday November 3rd from 10am-4pm at Stover Farm on State Highway 72, Geraldine. Tickets are $10, which can be bought online, or at the gate on the day. With over 120 stalls – including gorgeous clothing from Tava and Talikins, tours of the iconic Stover Gardens and a Pimms and bite to eat on the Village green, this will be a great day out. Then, after a day to replenish my stocks and have a well deserved break, I will be heading to the Manderley Home and Garden Festival. 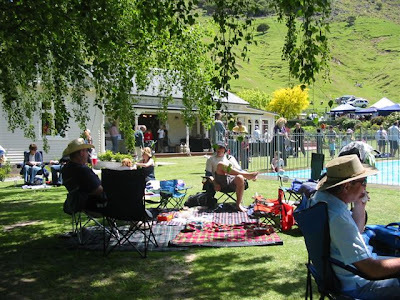 Set in a beautiful valley on Banks Peninsula, near Little River, the gardens and grounds of Manderley are the perfect location to showcase 140 stalls selected for the quality and originality. Many food outlets will provide tasty gourmet food complimented with the best of wine and beer. Live music, dancers and many more entertainers will provide something for everyone. The festival will be held wet or fine, from 10am-4pm on Saturday 5th and Sunday 6th November at 3875 Christchurch/Akaroa Highway, Little River (opposite Lake Forsyth rest area). Admission is $10, children under 12 free. You will also find Relique Jewellery and Mudbird there as well. I'm looking forward to a great weekend!